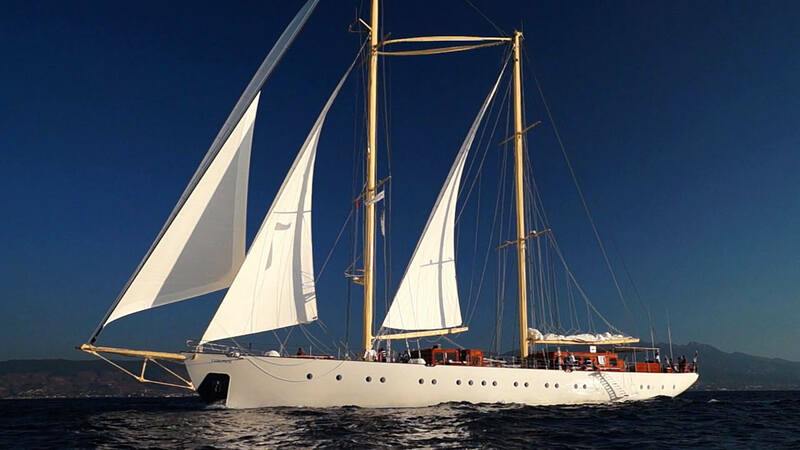 Luxury sailing yacht CHRONOS was delivered by ARK yachts in 2013, measuring 54.6m (179.1ft) overall, the yacht can accommodate up to 26 guests, making her the ideal choice for large groups. 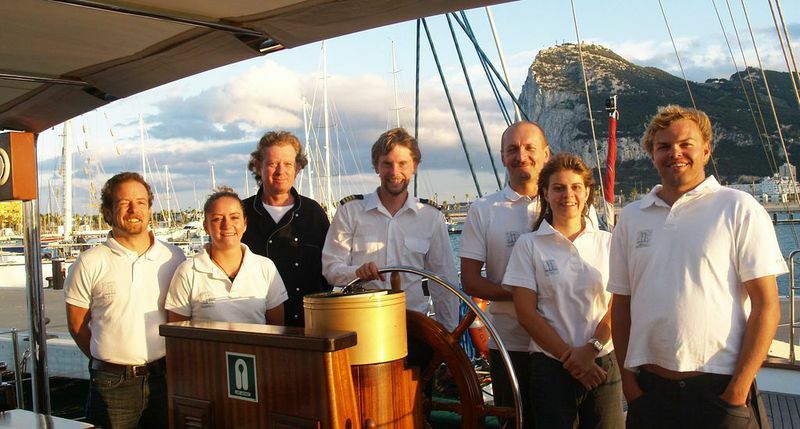 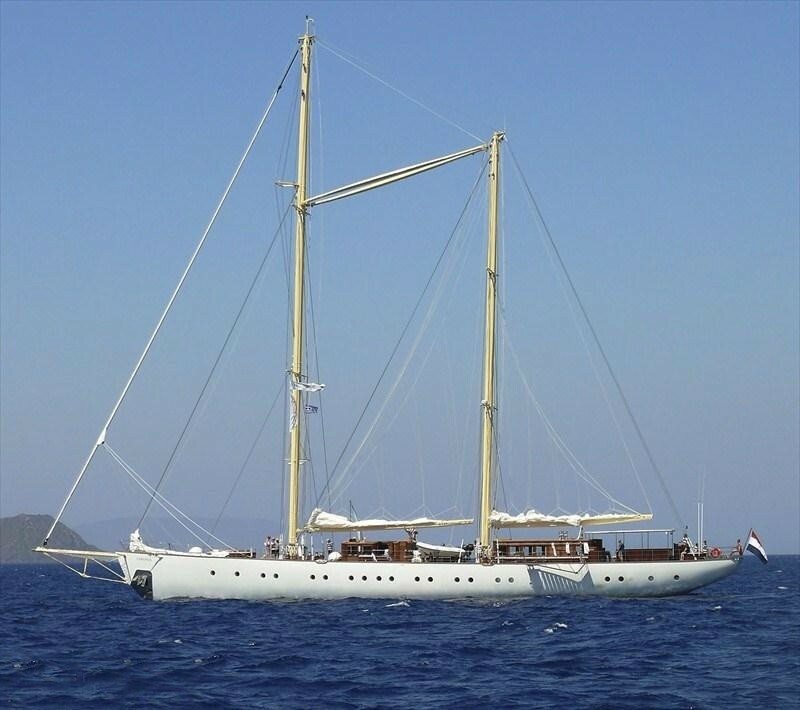 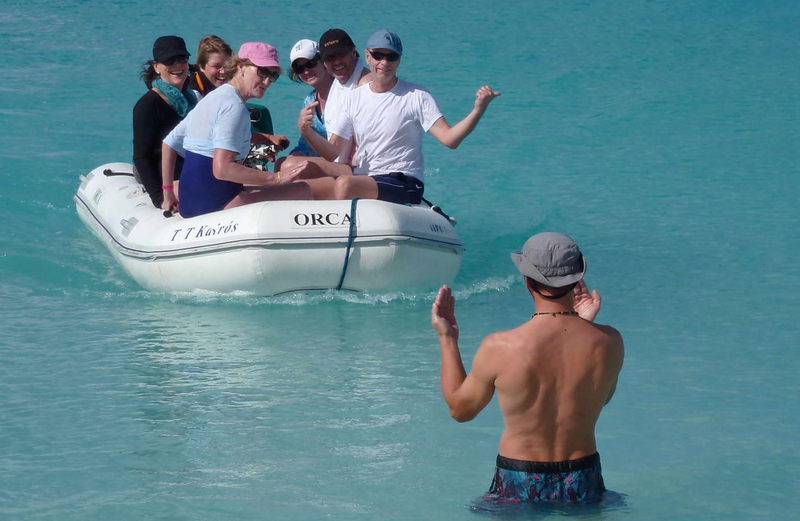 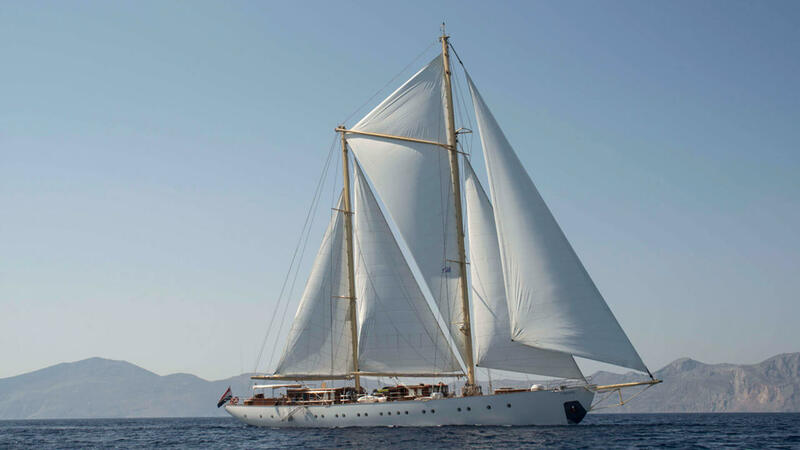 Charter yacht CHRONOS is available for luxury charters, and has a professional crew of 10, to ensure a most memorable sailing experience. 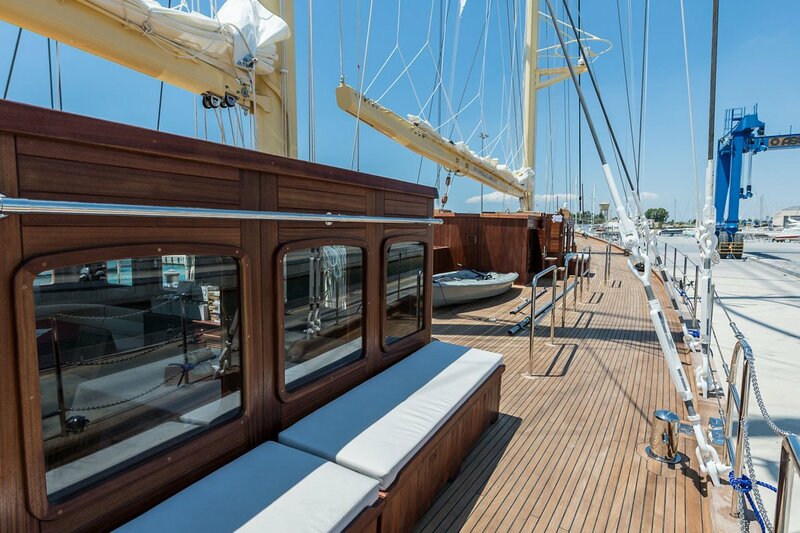 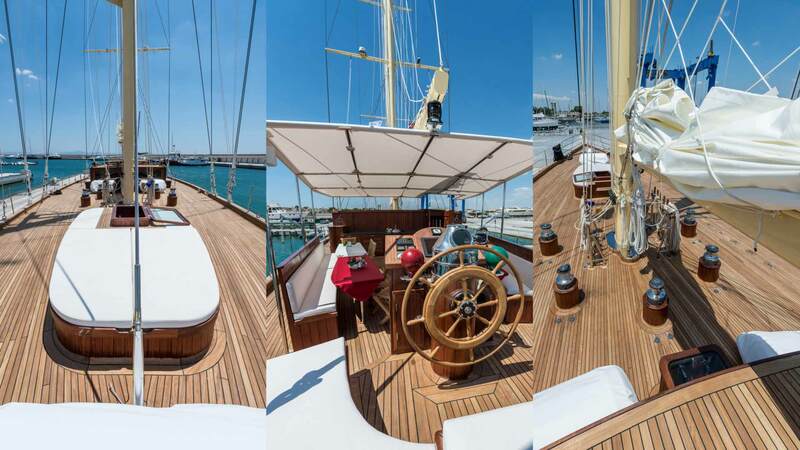 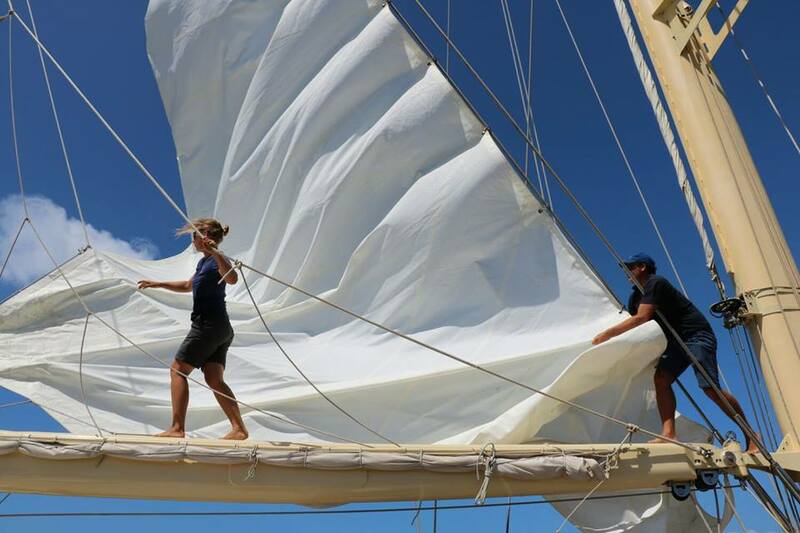 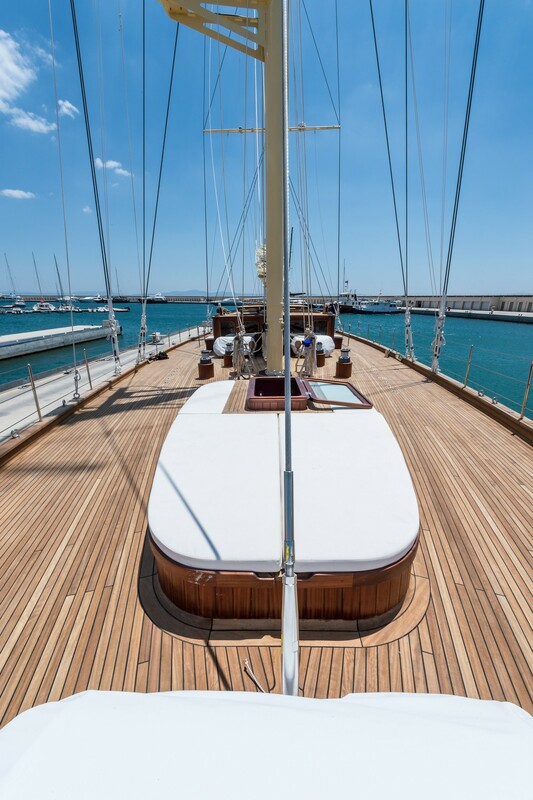 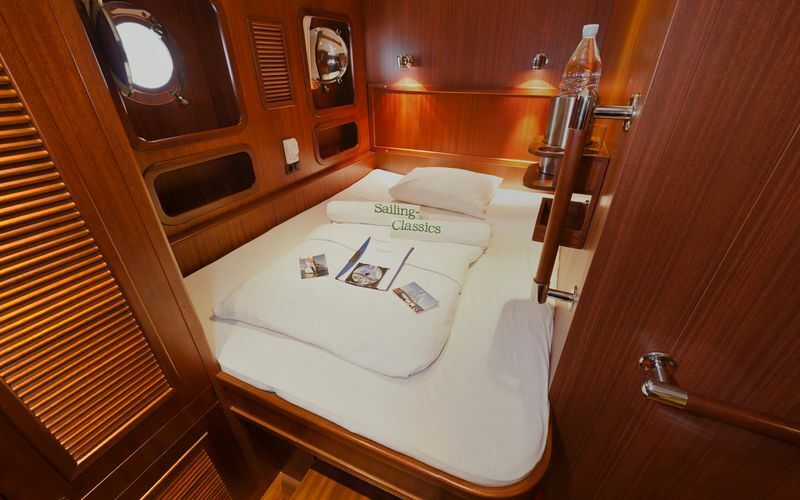 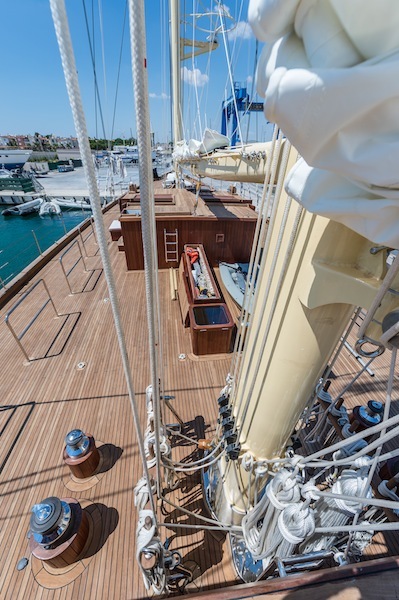 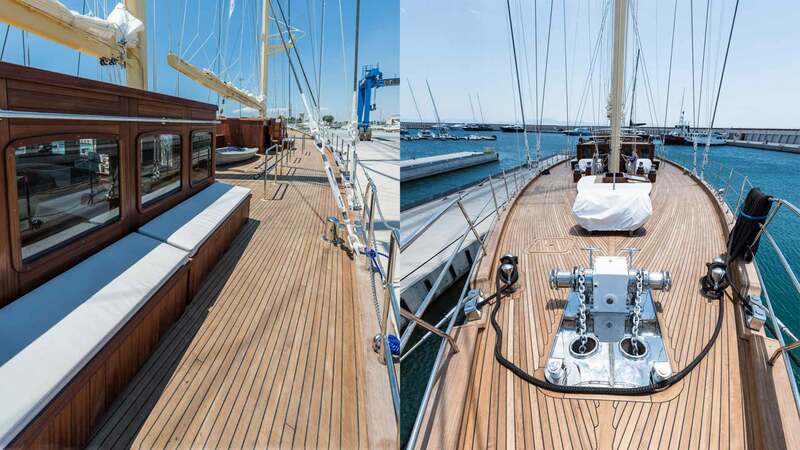 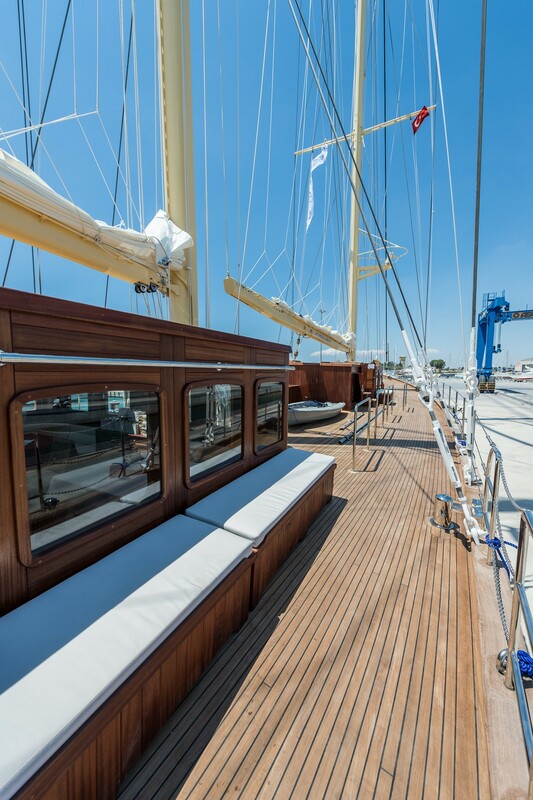 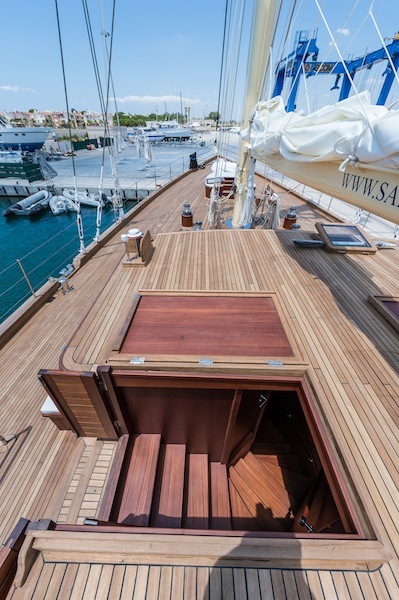 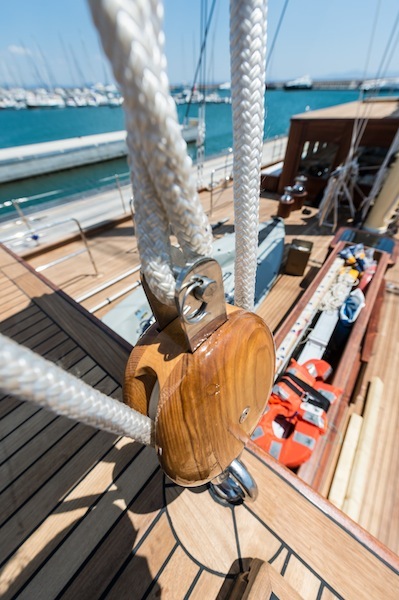 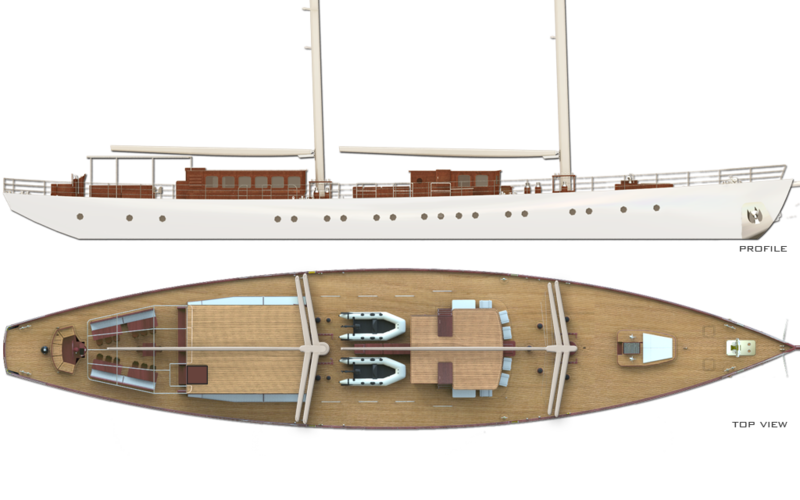 The RHEA sailing yacht boasts a light and spacious interior. 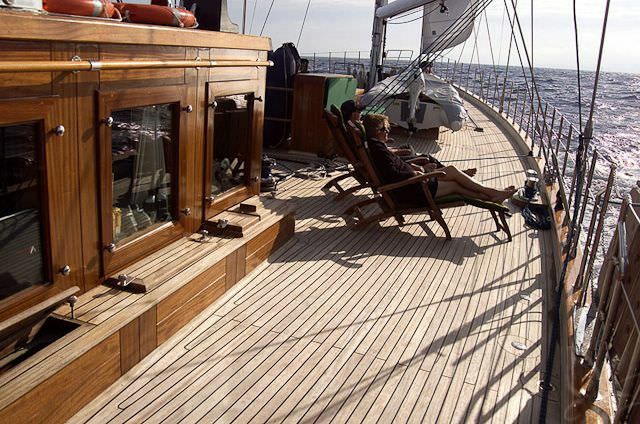 The décor is minimalistic with teak and mahogany woods. 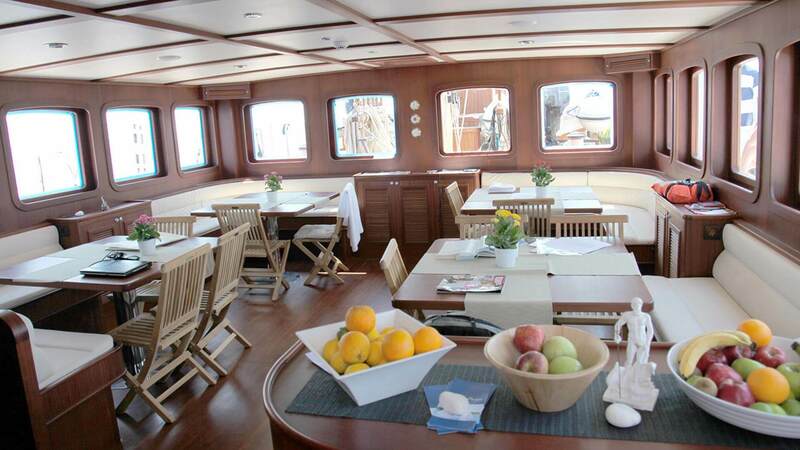 The aft deckhouse is raised and offers a relaxing salon with TV/DVD, library, wet bar ideal for entertaining and large panoramic windows for optimum views. 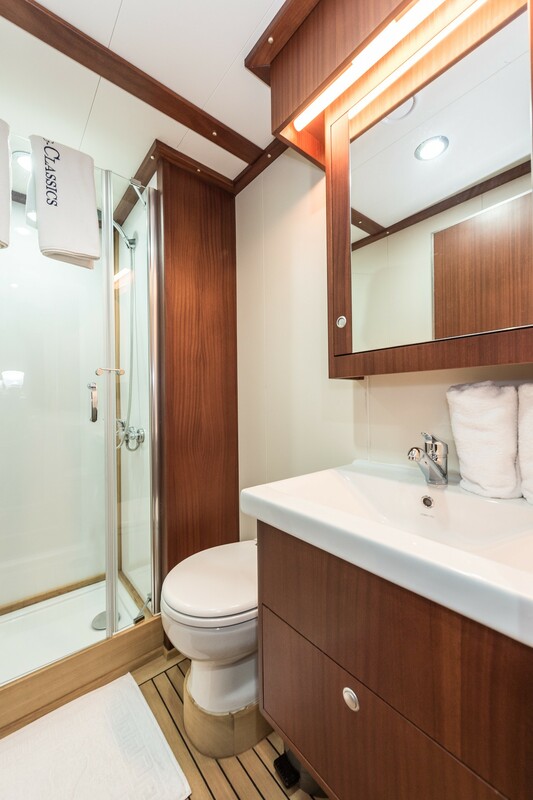 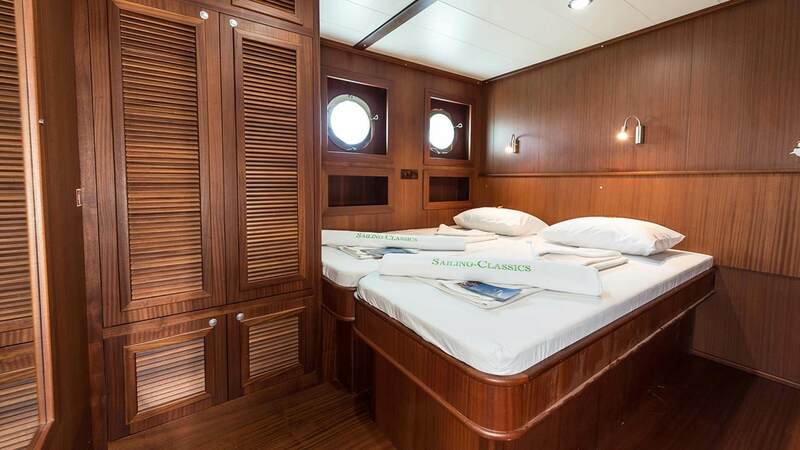 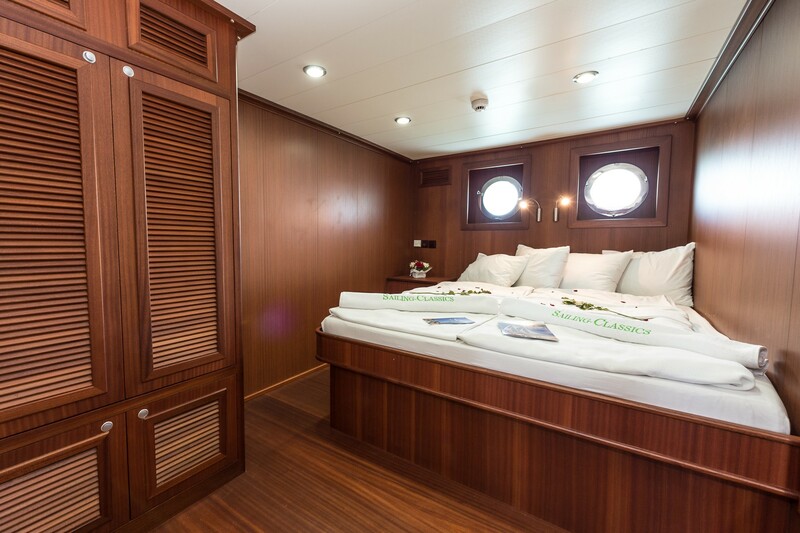 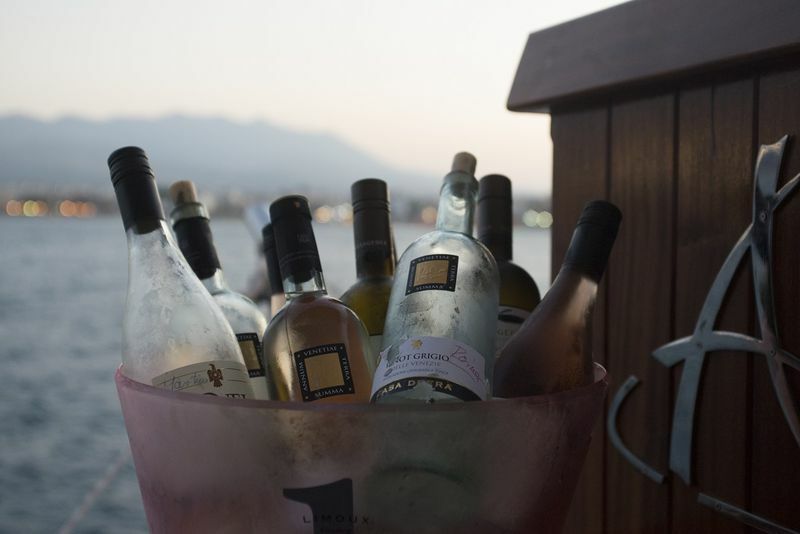 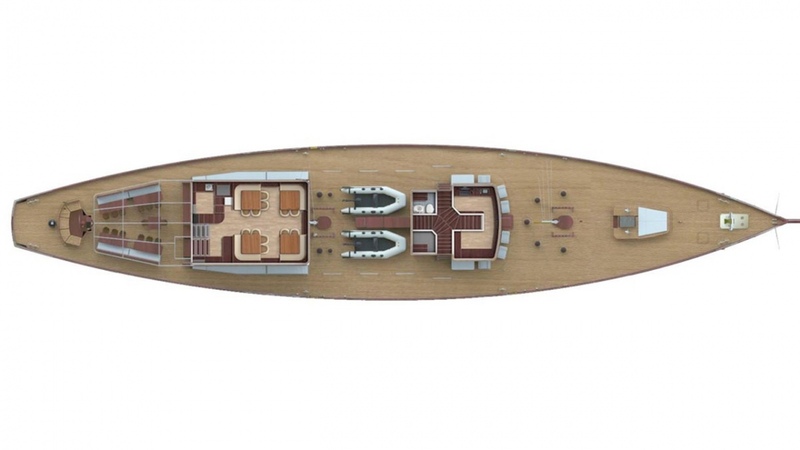 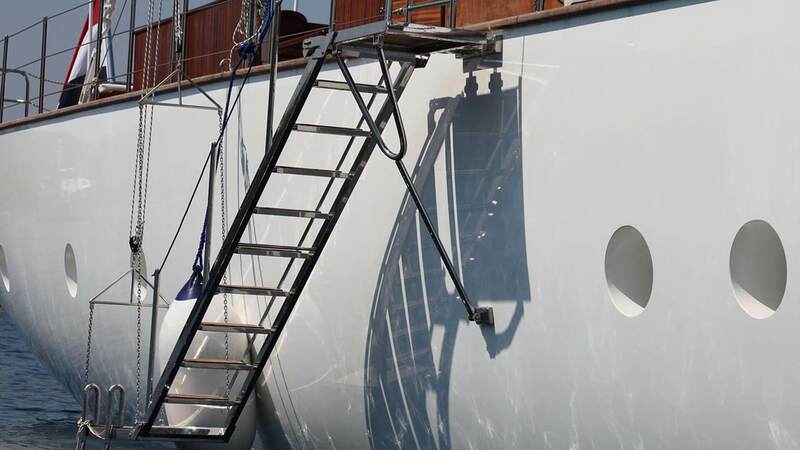 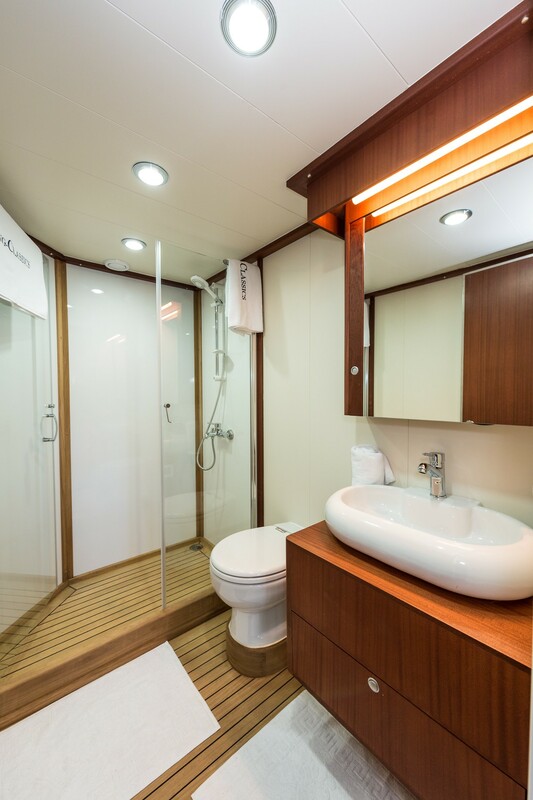 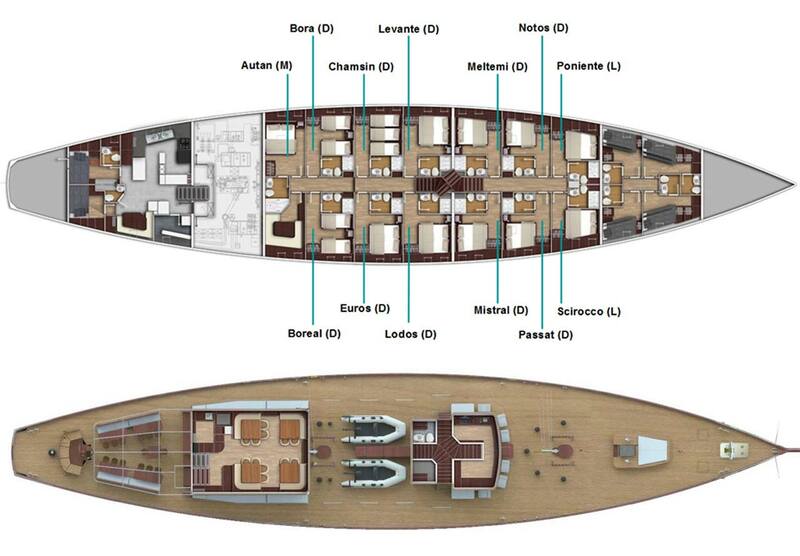 A further deckhouse is forward offering access to the 13 guest suites below decks. 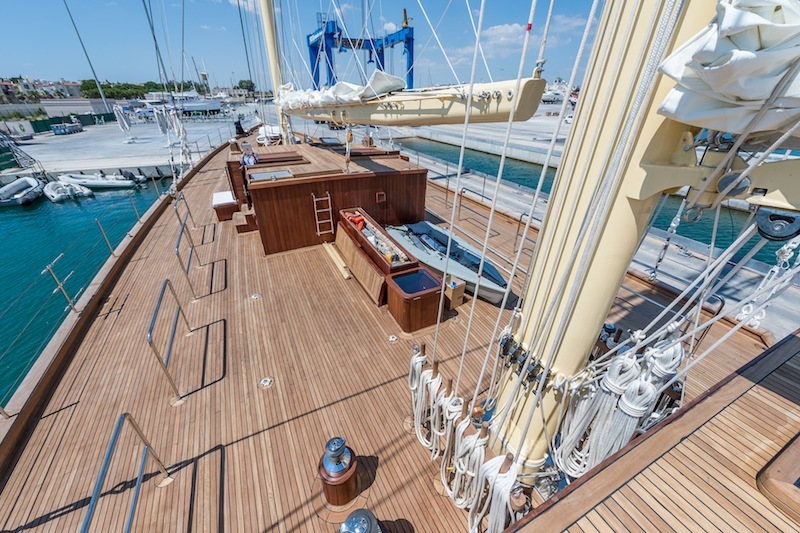 Sailing yacht CHRONOS offers ample exterior living on her teak decks, the steel hull measures 48m (157.4ft) with a generous beam of 9.7m (31.9ft). 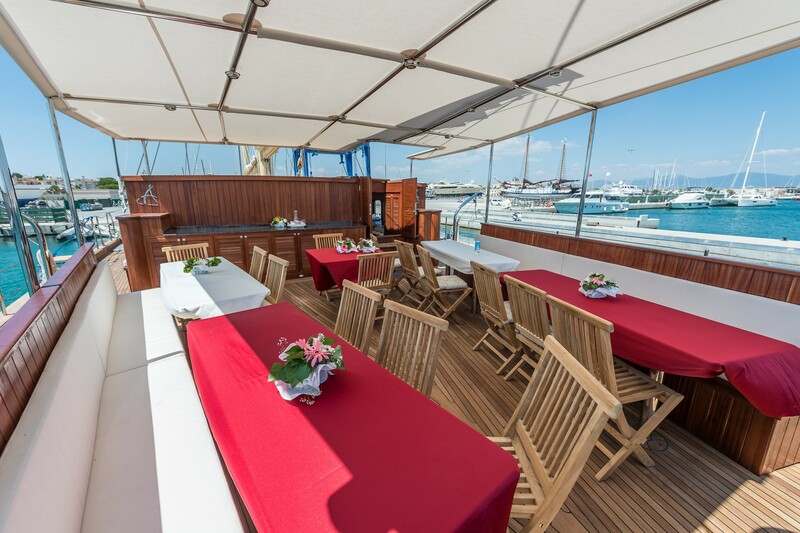 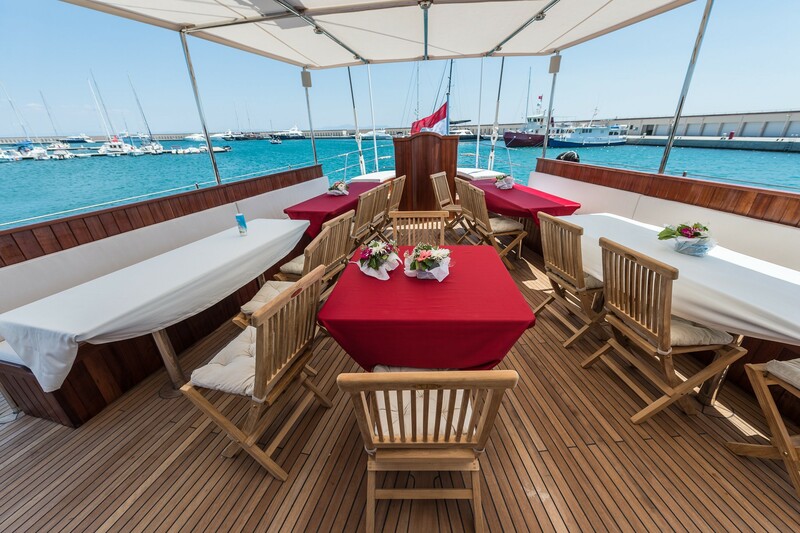 An expansive aft deck seats all guests in comfort at the alfresco dining tables under a fitted Bimini cover, further aft are built in sun pads and seating. 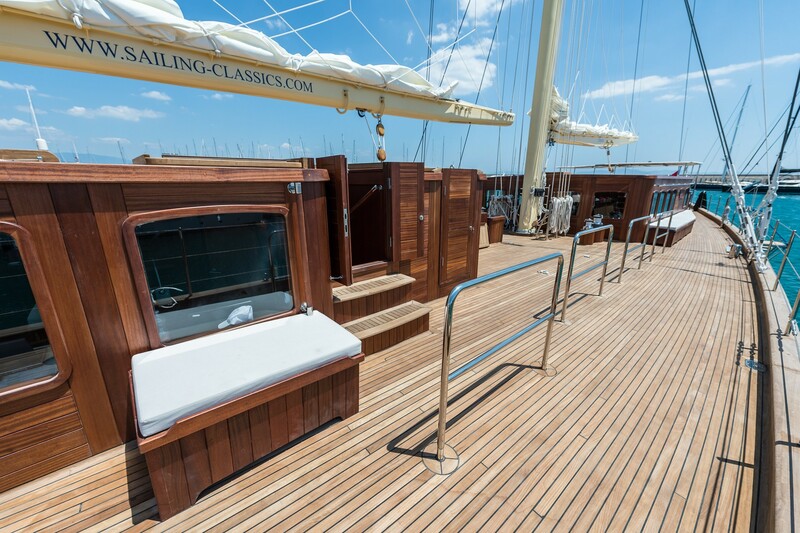 The wide side decks offer easy access forward to further sunning areas with chaise lounges, seating, and sun pads. 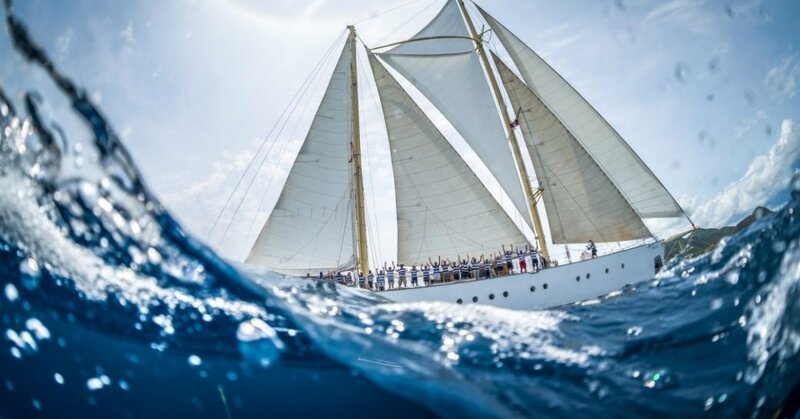 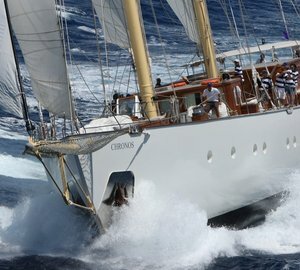 Charter yacht CHRONOS flies 2,050 square meters of canvas under full sail, with an average speed of 8 – 10 knots, she is powered by a single 600hp Volvo engine. 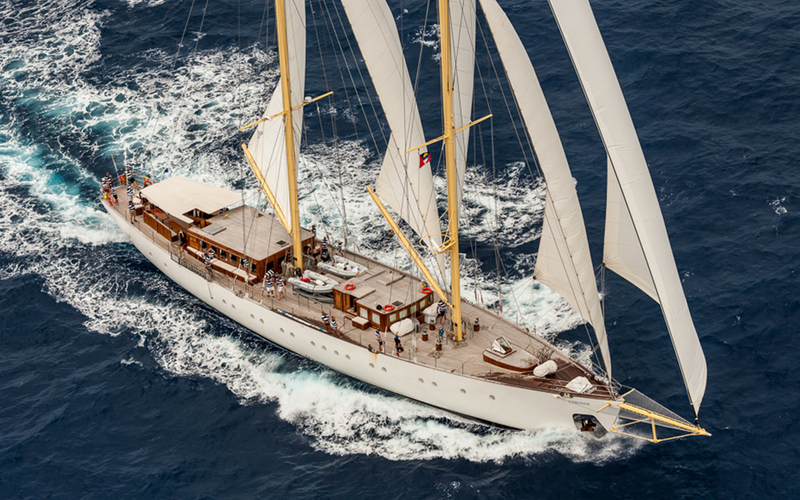 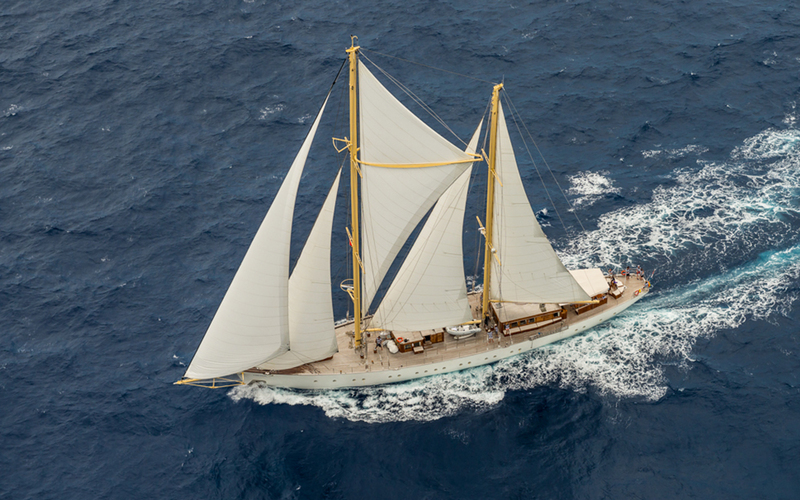 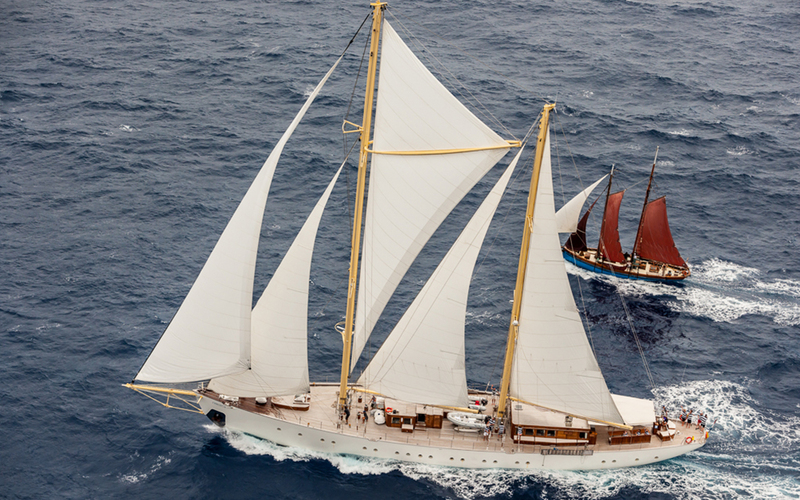 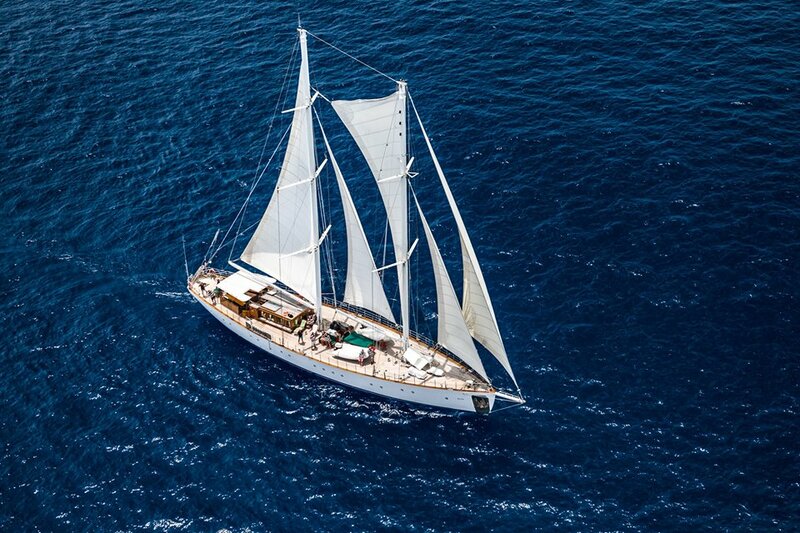 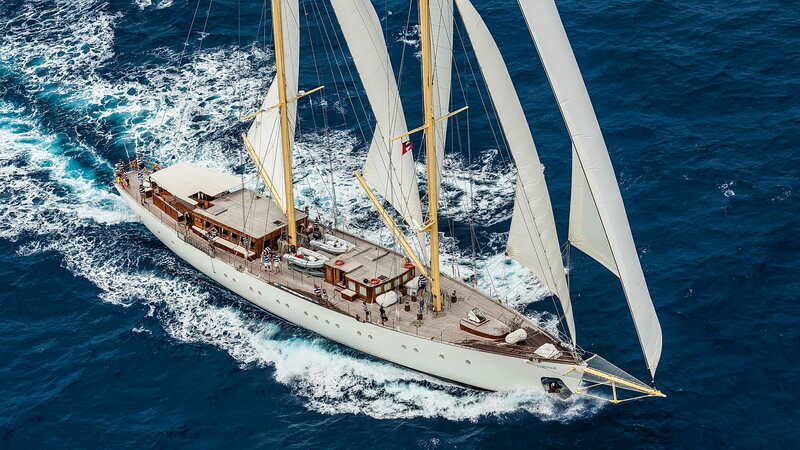 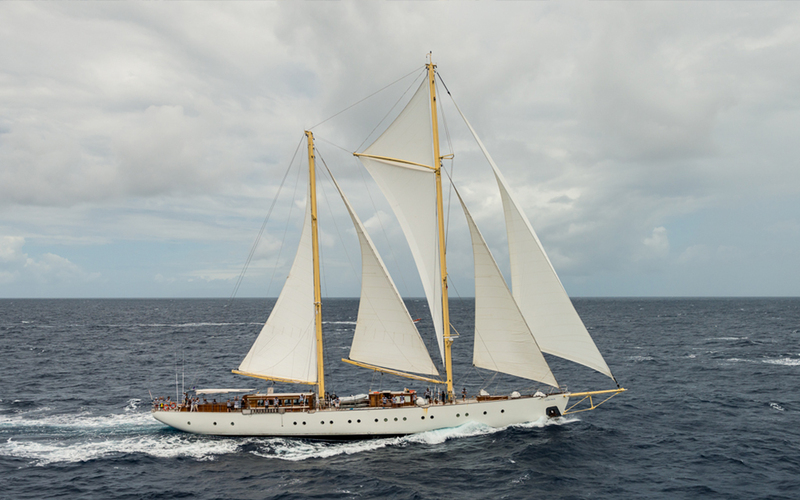 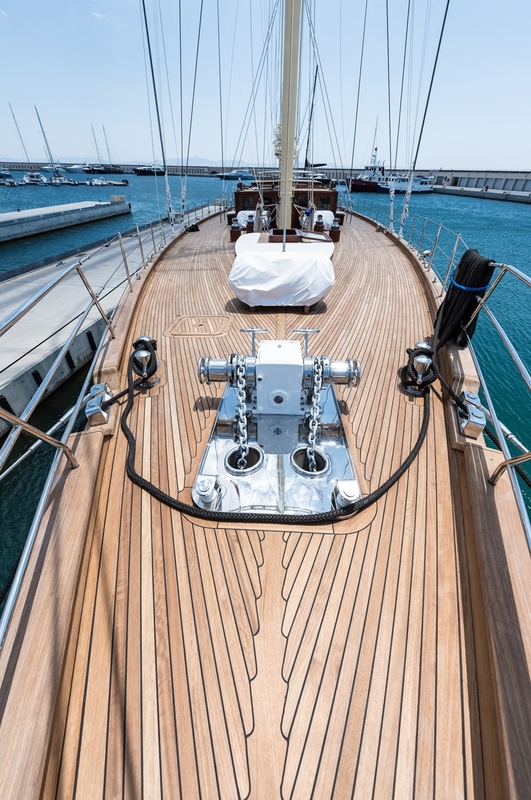 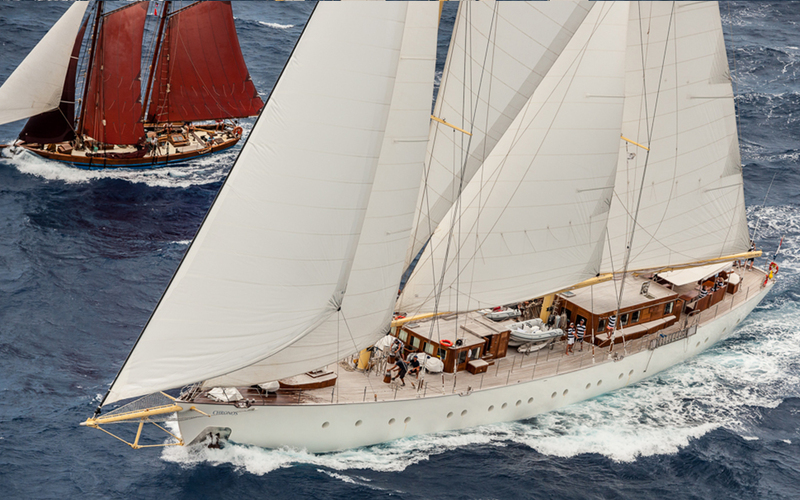 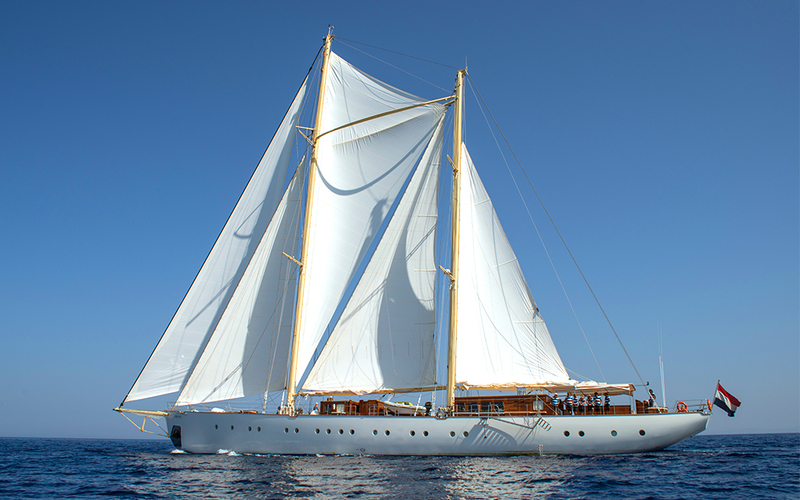 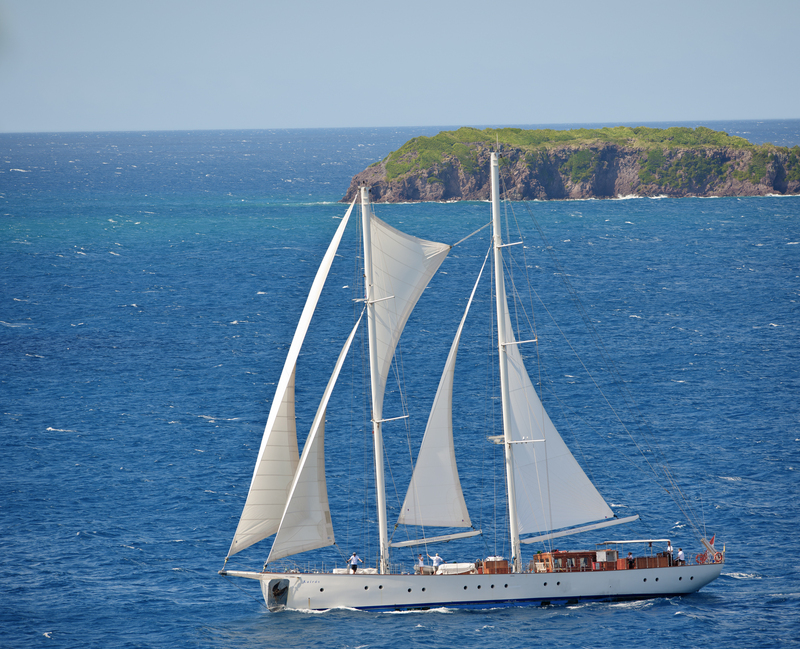 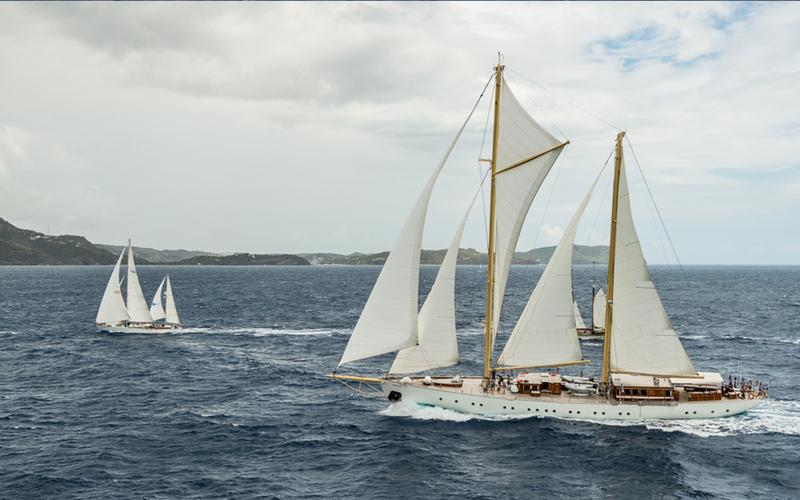 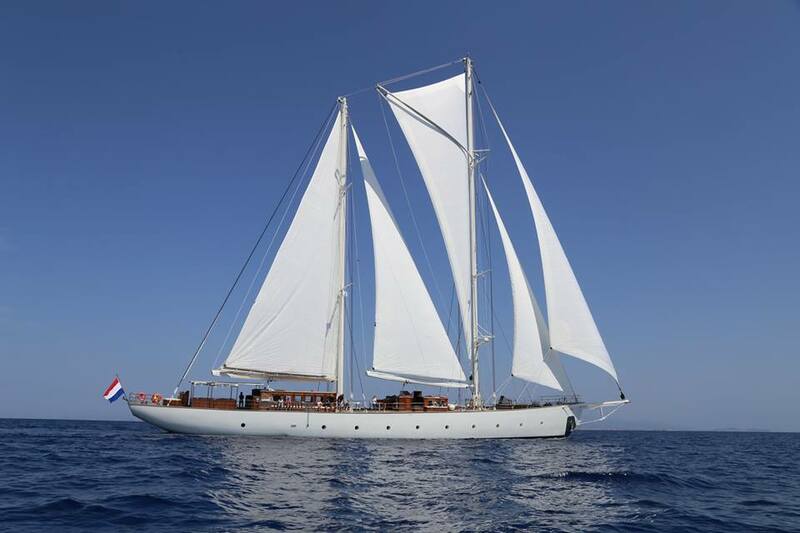 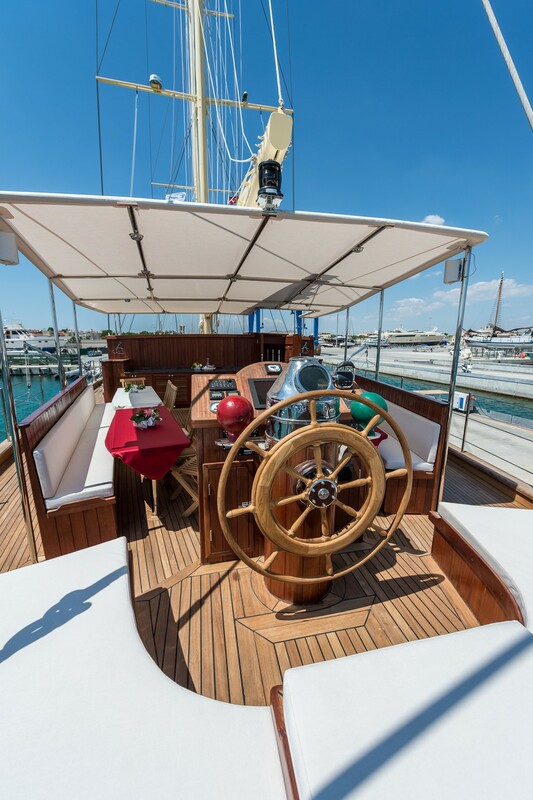 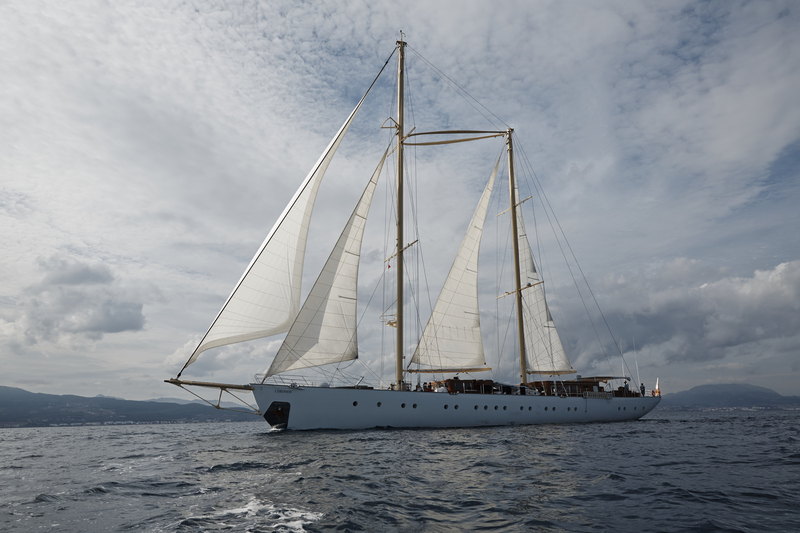 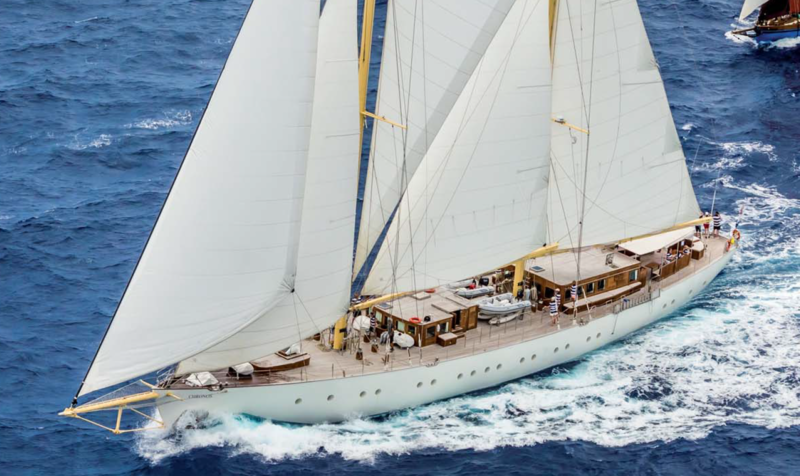 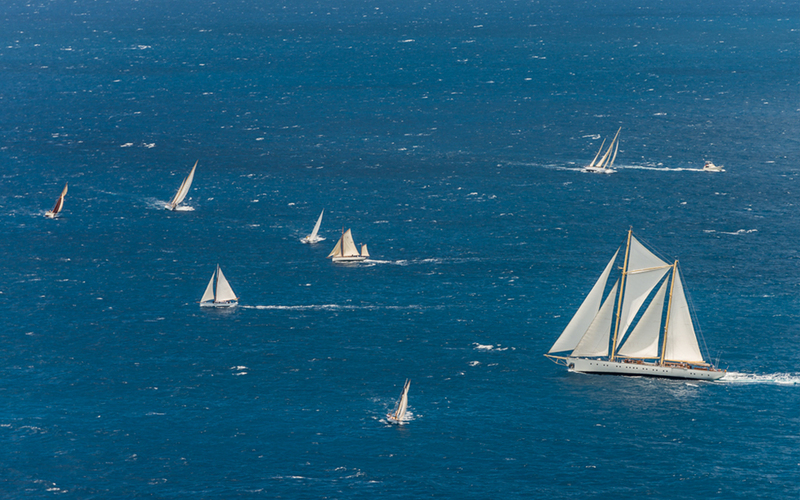 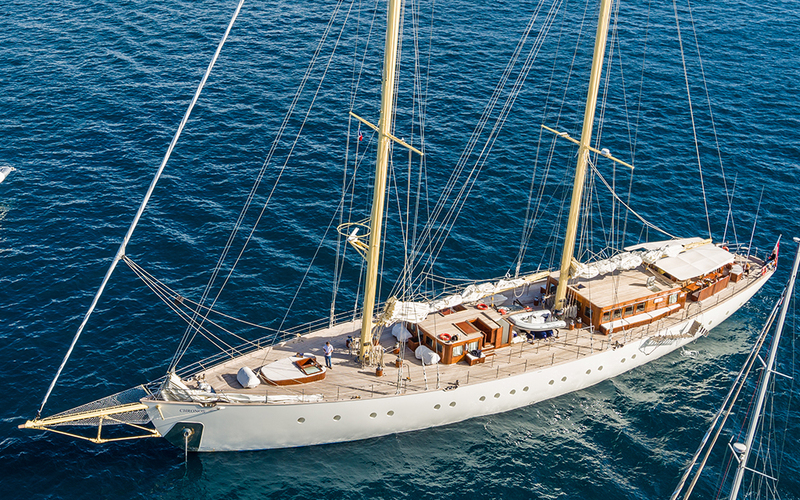 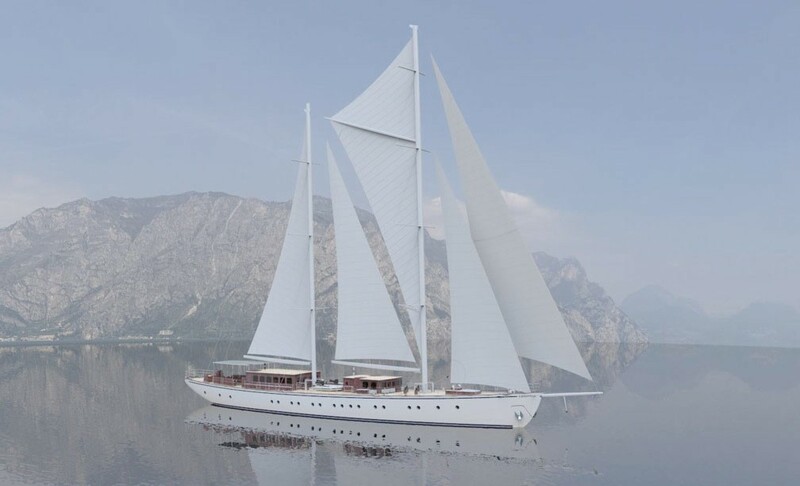 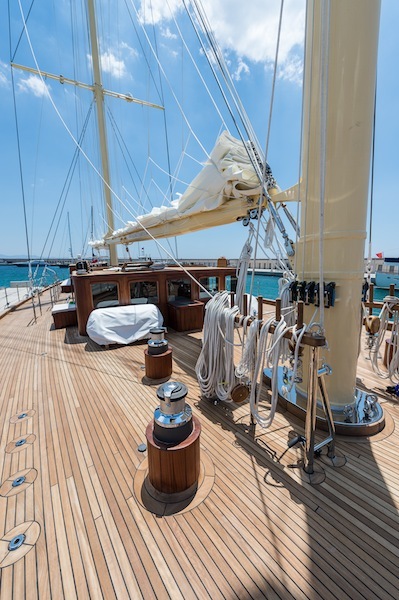 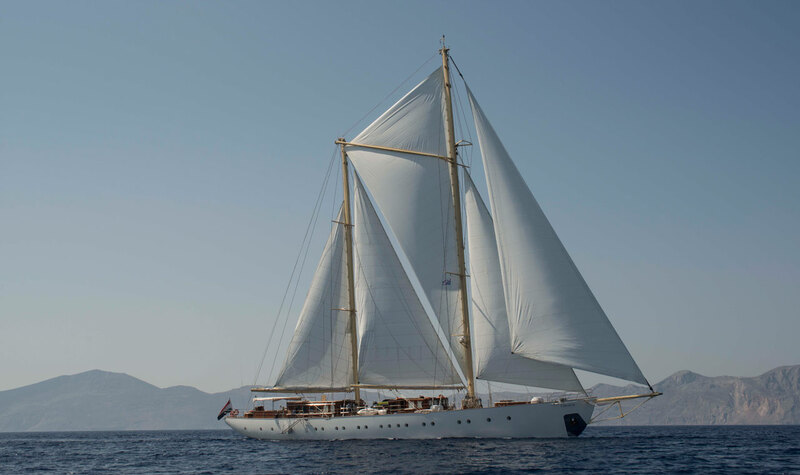 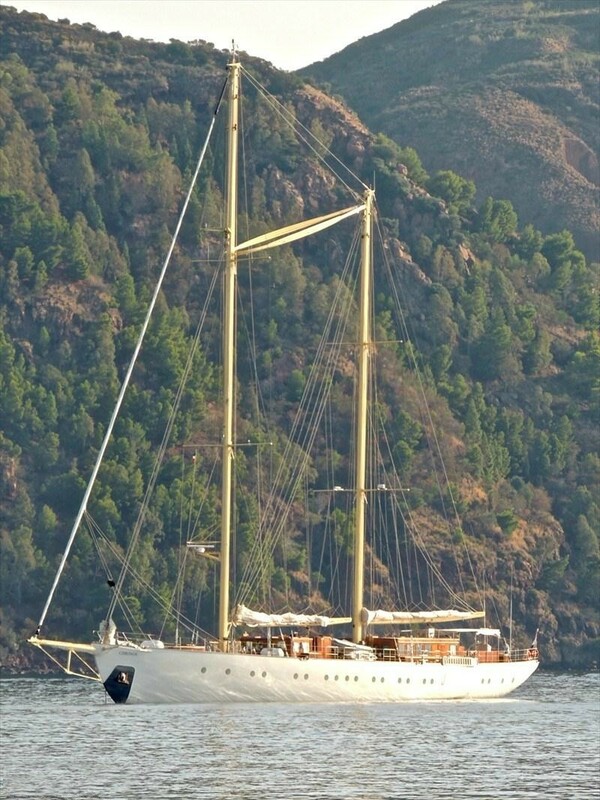 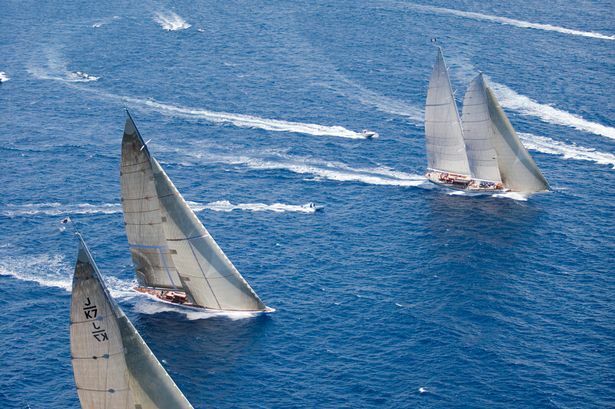 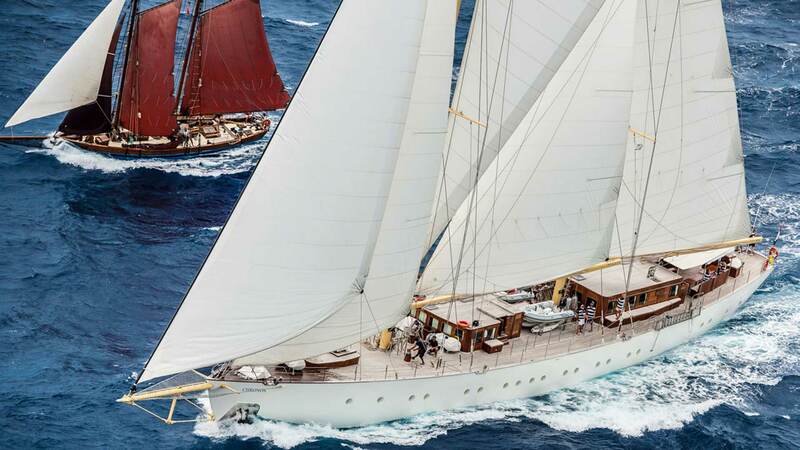 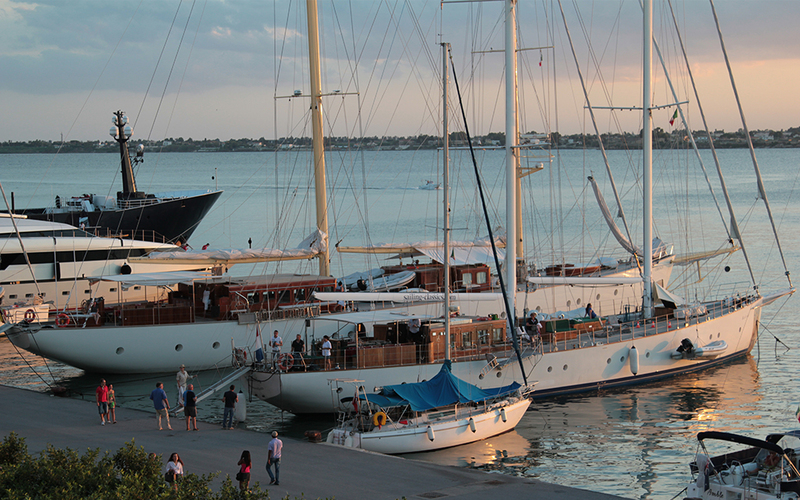 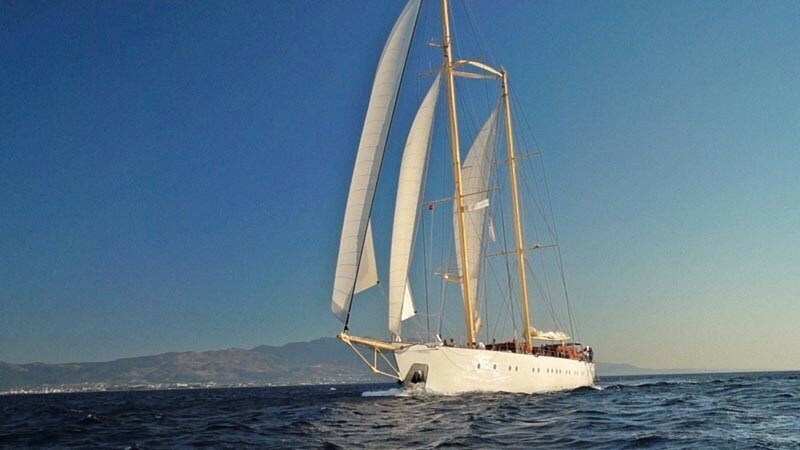 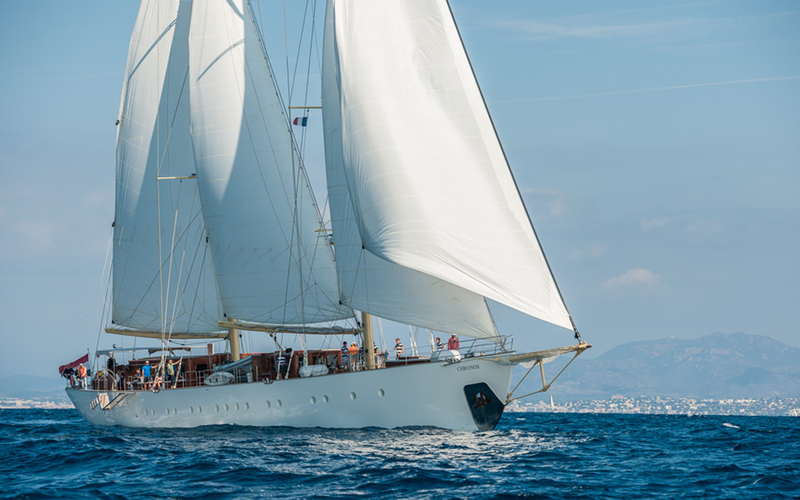 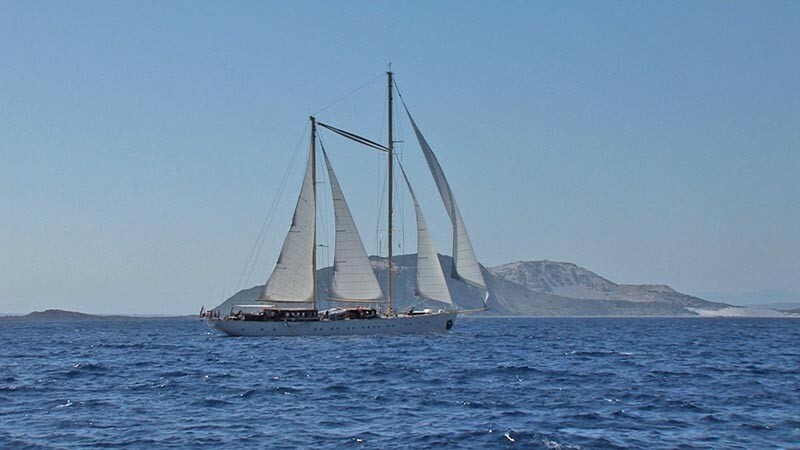 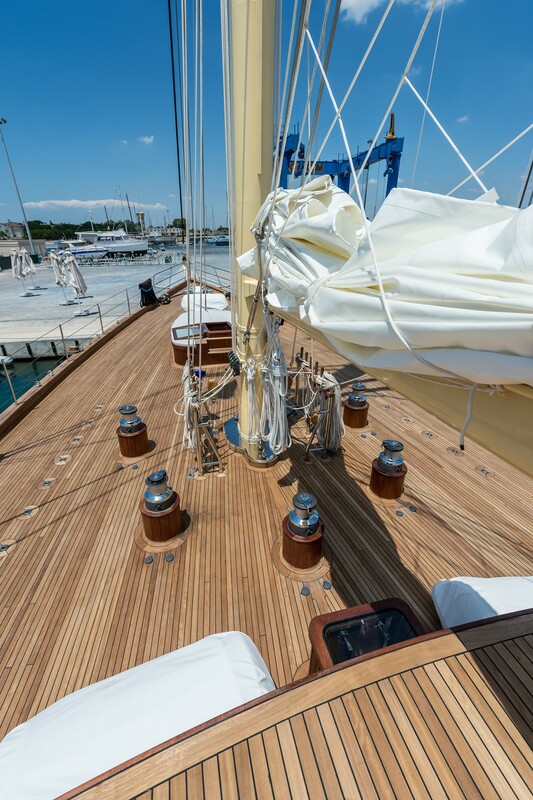 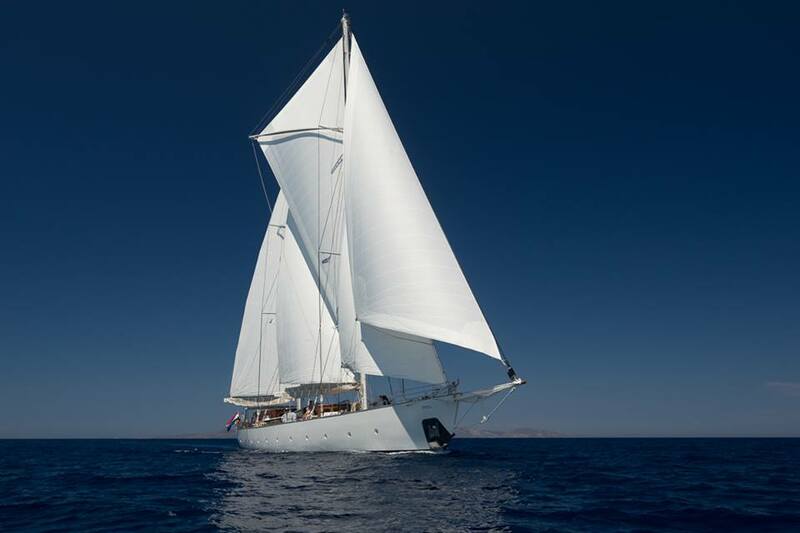 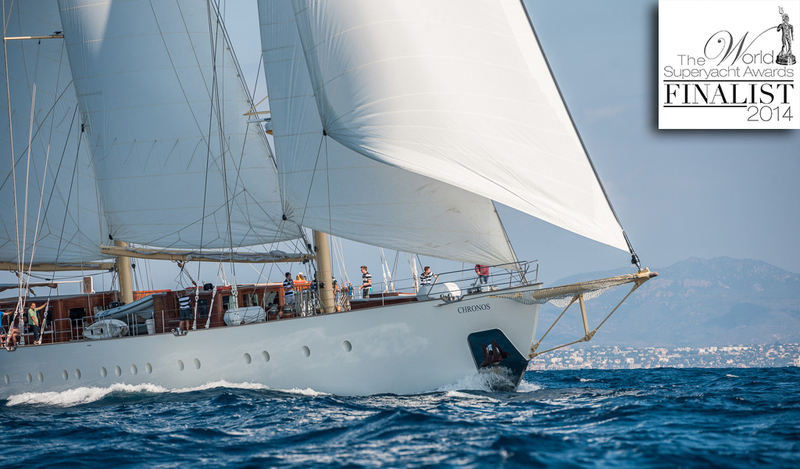 S/Y CHRONOS features classic styling with graceful, elegant lines, sure to draw the attention of envious onlookers. 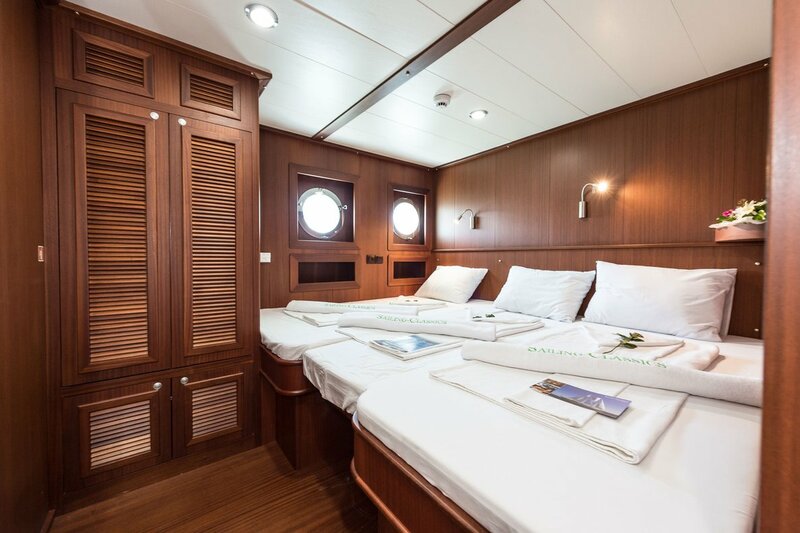 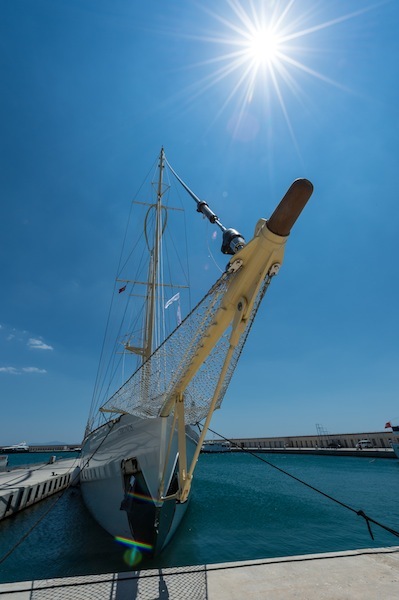 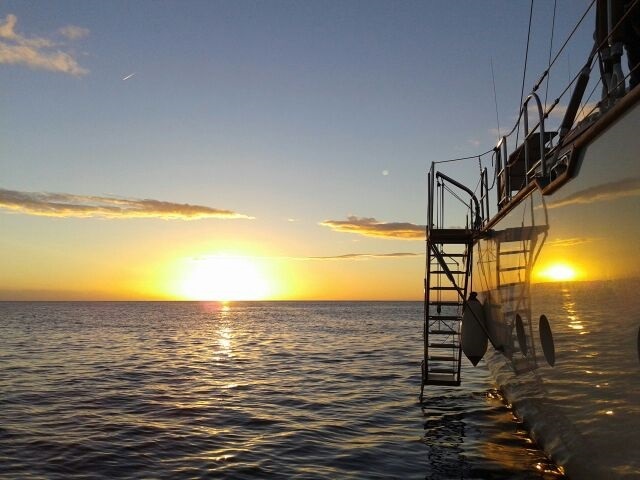 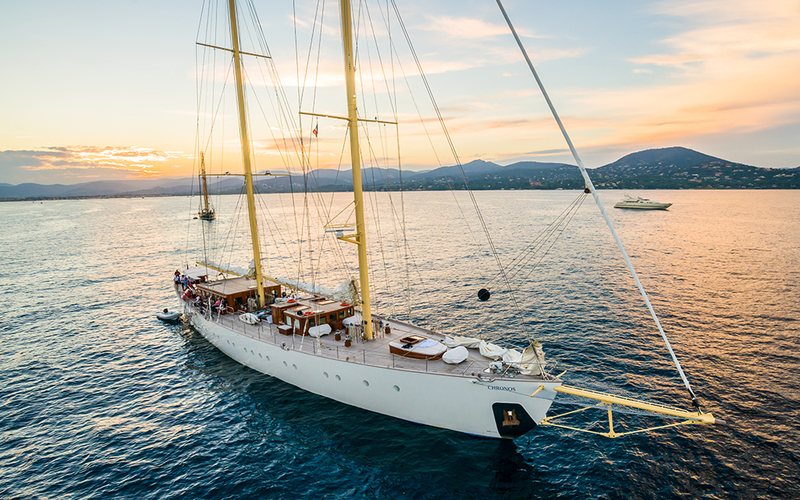 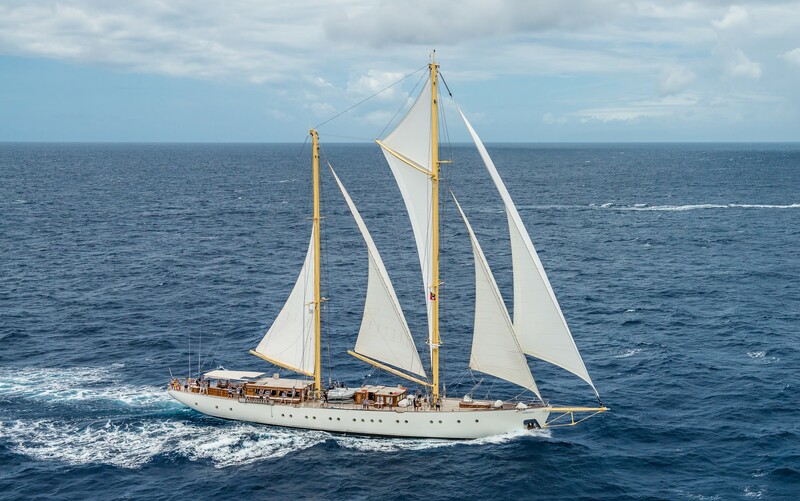 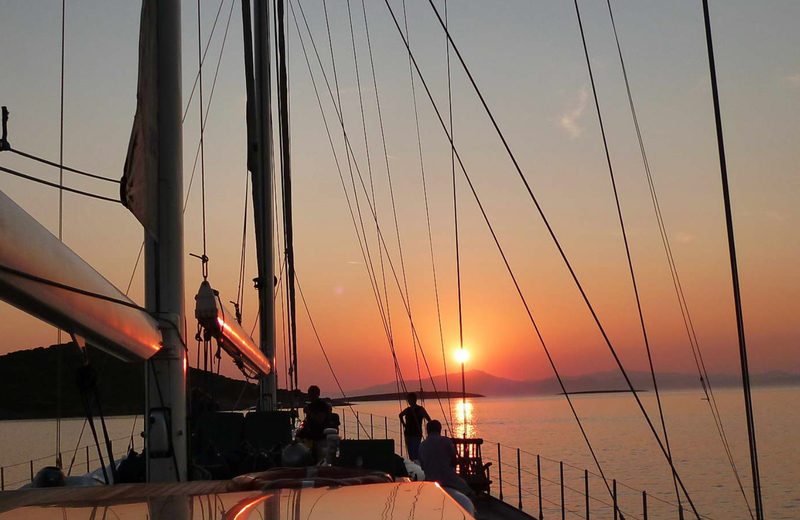 S/Y CHRONOS offers deluxe accommodation for up to 26 guests in 1 master, 10 double and 2 twin cabins, all cabins have en-suite facilities, ports for natural light and individual air conditioning systems. 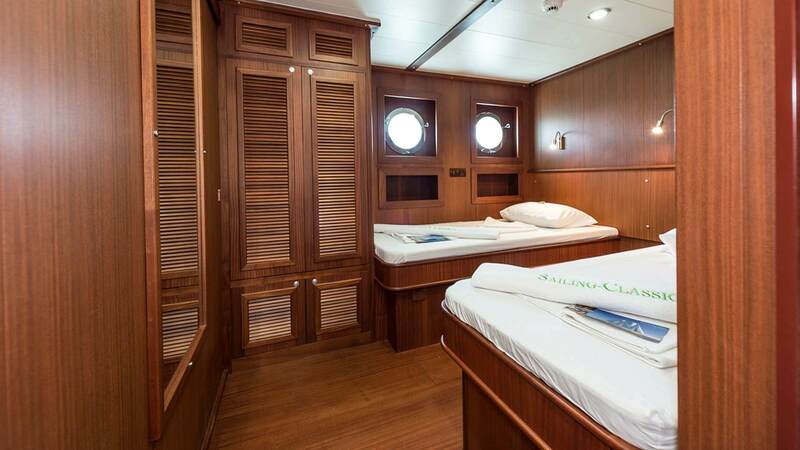 The master suite is aft on the port side with a queen size bed. 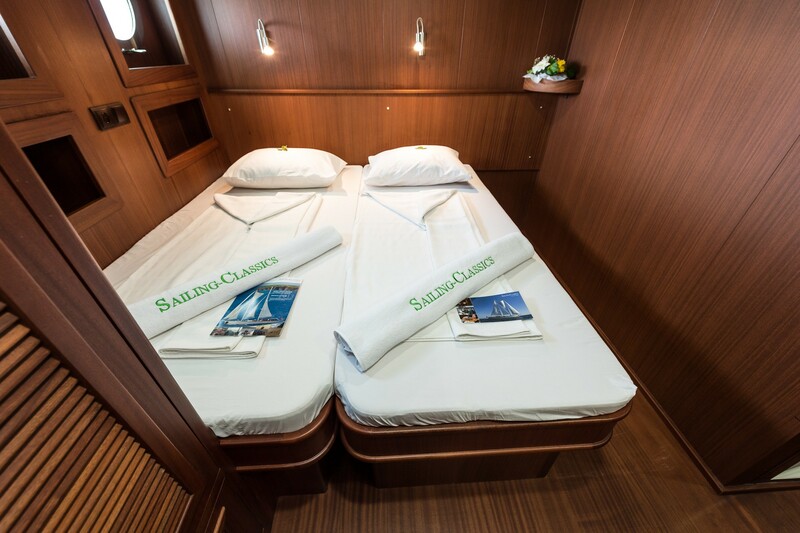 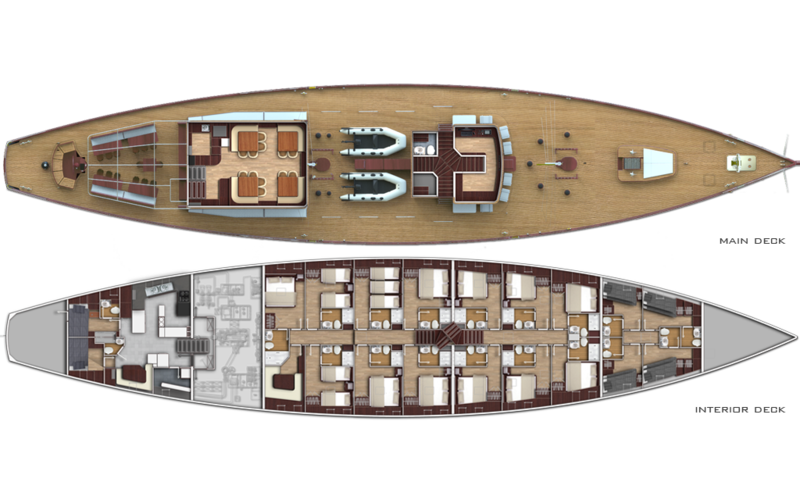 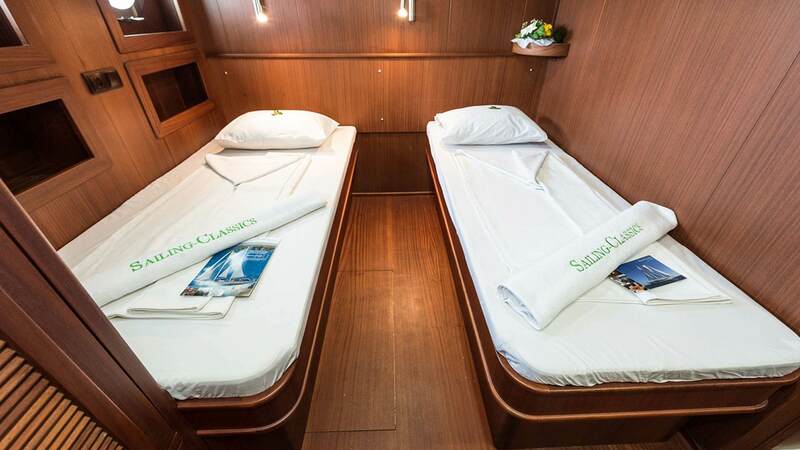 There are a further 10 cabins with double beds and 2 cabins with convertible twin beds that can easily become a double if required.